I can’t believe that Thanksgiving is just around the corner! Seems like the kids were just starting school, but now it’s time to get together with family, be thankful and enjoy the Fall season. All the pumpkin flavors are in the stores. It’s the best time to make some these yummy 3-ingredient, no-bake pumpkin truffles. No joke. These are so yummy! This week’s features were chosen by Emily of The Benson Street. I love fall and thanksgiving. There is just something about how adorable turkeys are. They make the cutest crafts. Seriously, they eyes, the feathers. Oh my cute. 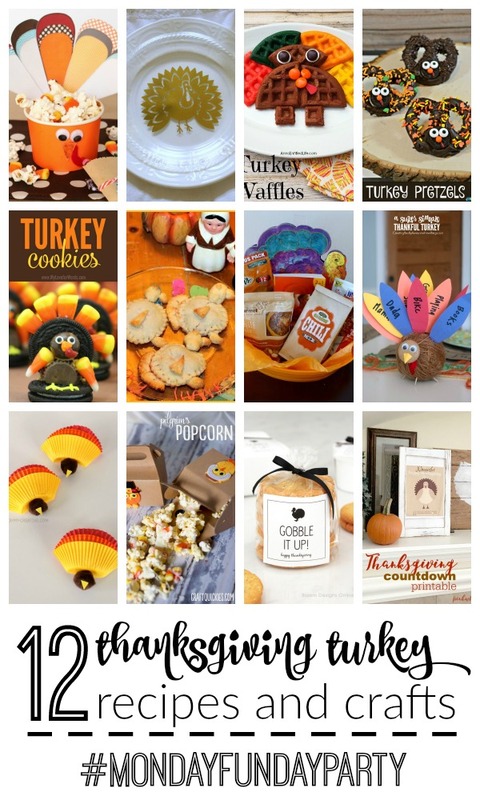 From kids crafts to cute turkey inspired recipes I just had to share all of these adorable turkey ideas. I hope you love them just as much as I do.